« Cops Say Legalize Drugs! LONDON — London’s East End is notorious for its criminals, from serial murderer Jack the Ripper to mobsters the Kray twins. 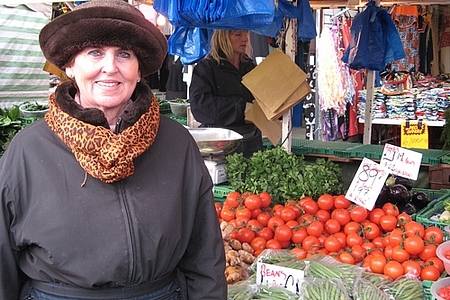 The latest candidate for this rogue’s gallery is Janet Devers, a 63-year-old woman who runs a vegetable stall at Ridley Road market. Her alleged crime: selling goods only by the pound and the ounce. Ms. Devers, whose stall has been in the family for 60 years, faces 13 criminal charges stemming from not selling her produce by the kilogram and the gram. She stands accused of breaking a European Union-instigated rule that countries must use metric measures to standardize trade. The rest of Europe is metric. But Brits drink their milk and beer by the pint. On the road they rack up miles. Imperial measurement “is what we know, how we are. 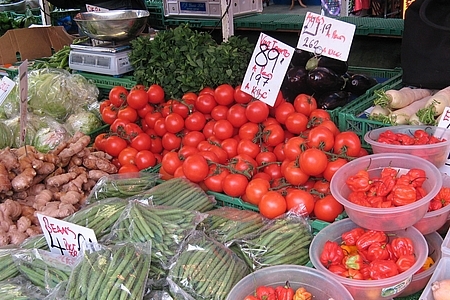 Who’s to tell us to change?” said Scott Lomax, a fellow vegetable-stall owner. Ms. Devers, who pleaded not guilty in a court appearance on Friday, is being lionized for her stand in Britain’s feisty tabloids. If convicted, she could be fined as much as $130,000. And, equally illegally, in bowls. Ten of the counts against her relate to purveying produce, such as hot Scotch-bonnet peppers, by the bowl. The United Kingdom wrote an exemption into its measurements law to meet the EU metric requirement in 2000, as Brussels allowed. It stated that traders must use metric weights, but they could use imperial measures as well. The problem is that Ms. Devers allegedly didn’t have metric prices on all of her produce when she was charged late last year, and two of her scales only measured in pounds and ounces. The British imperial system dates back at least to medieval times. Notable holdouts still using it are Britain and the U.S. It doesn’t help that the metric system was created over 200 years ago across the Channel in France, England’s ancient archrival. Ms. Devers faces fines of up to $10,000 per charge, or a total of about $130,000. “It would ruin me,” said Ms. Devers, who declined to detail her earnings. She says she canceled a planned trip to New York with her twin sister, because having a criminal record could make entering the U.S. difficult. Anyone who reads BLOGDIAL knows what I think about this. Hackney is riddled with crime, and they send TWO police to arrest someone who is MINDING THEIR OWN BUSINESS. This woman is not guilty of anything, save living in the insane asylum called Modern Britain®™. This entry was posted on Thursday, January 24th, 2008 at 1:51 pm	and is filed under Insanity.